Adele tour schedule and concert details. One of the most beloved and talented stars in the music industry, Adele is best known for her bittersweet love songs that will break your heart and then fix it again. Adele has sold over sixty million albums worldwide. Her second album, 21, is the biggest selling album of the twenty-first century, with over thirty-one million copies sold across the world. Hailing from London, Adele comes from a humble background. She was raised by a single mother before attending the BRIT School, which was also the school of choice for fellow vocalists Jessie J and Amy Winehouse. Initially her music career wasn’t a runaway success, but after she was offered a contract by XL Recordings, she released her breakthrough song Hometown Glory in 2007. She wrote it when she was just sixteen. A love song to London, Hometown Glory has featured in TV shows including Skins and Grey’s Anatomy. Her love of her hometown has also extended to philanthropy: after the Grenfell disaster in 2017 she encouraged her audience at Wembley Stadium to donate to victims of the fire. 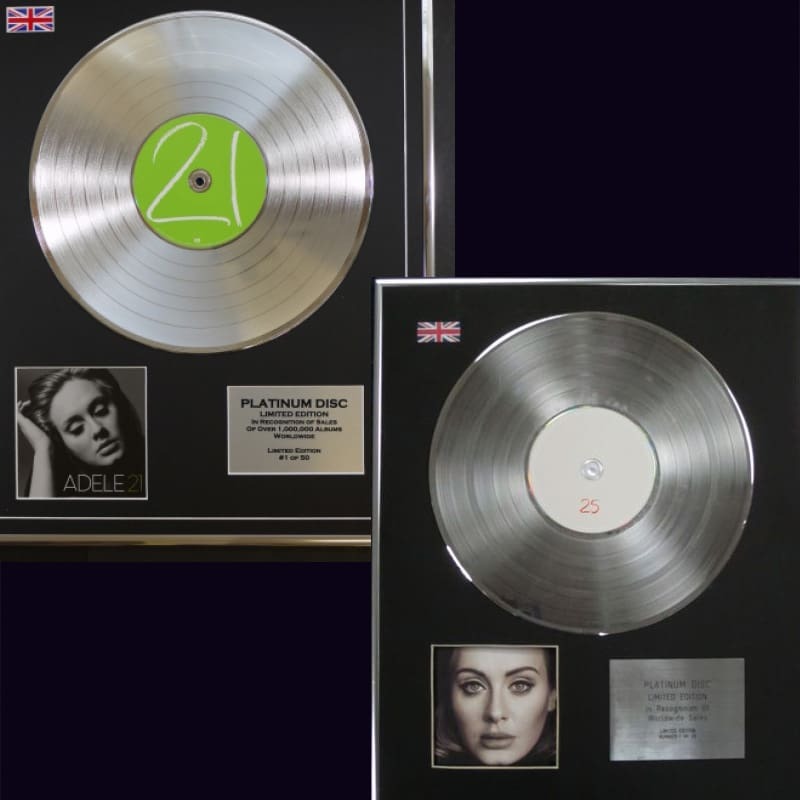 All of Adele’s albums have charted in the number one position in the UK, and both 21 and 25 hit the top spot immediately after their releases in 2011 and 2015 respectively. Adele has said that she views her albums, named after the ages she was when she wrote them, as a trilogy, and that she doesn’t intend to give any further albums numerical titles. During her live shows, Adele is known not only for her incredible vocals but also for her humour and ability to connect with crowds no matter how big they are. With charisma, wisdom and poise, she has the ability to hold stadiums full of people in the palm of her hand. Songs like Rolling In The Deep and Rumour Has It will have everyone on their feet, while the bittersweet melancholy of Someone Like You and When We Were Young will strike a chord for everyone who’s ever loved and lost. Her live shows have always received rave reviews from fans and critics alike because of their warmth, wit and powerhouse vocals. 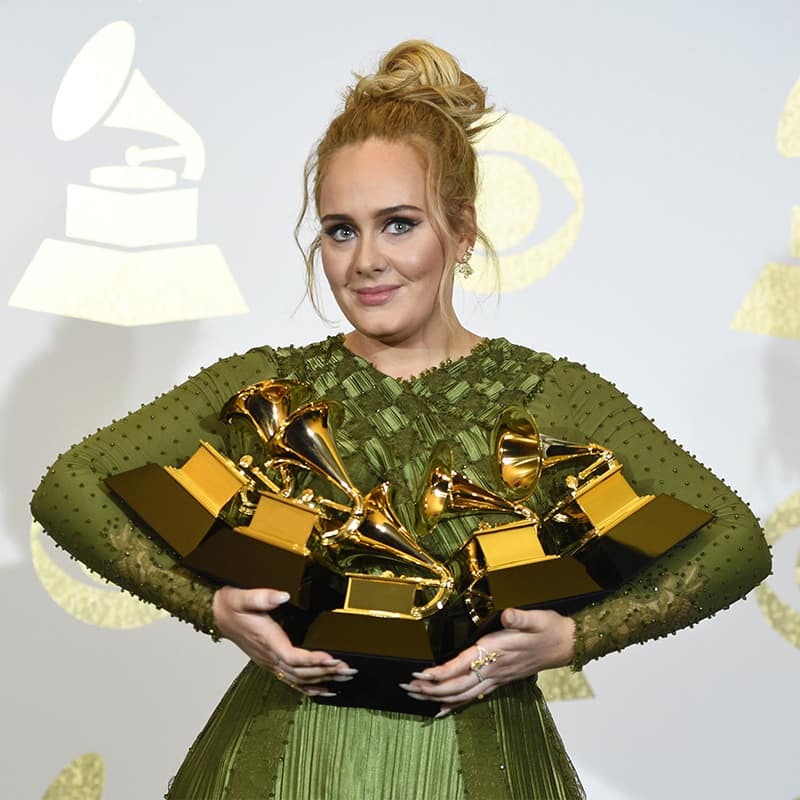 Aside from breaking every record there is to break in the music industry, Adele has also been the recipient of numerous awards. She has won fifteen Grammy Awards, nine Brit Awards, two Ivor Novello Awards, a Golden Globe, and an Academy Award. New Adele tour dates and ticket info will be posted on this page once they are available. 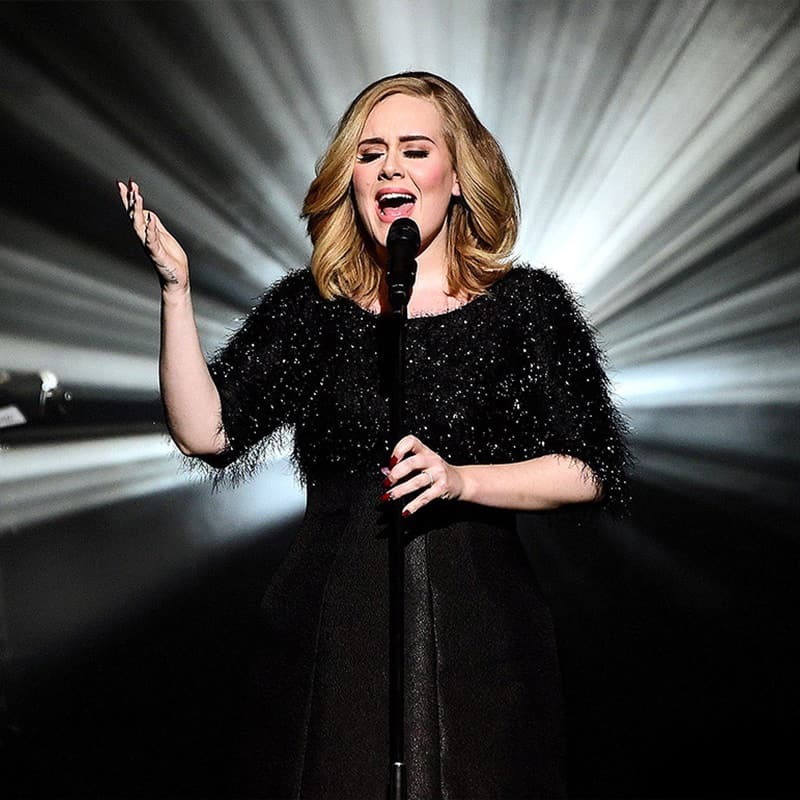 Buy Adele tickets from the official Ticketmaster site. Adele was born in Tottenham, North London, in May 1988. Inspired by artists including the Spice Girls, Etta James, Ella Fitzgerald, Amy Winehouse, Beyoncé, Annie Lennox and Dusty Springfield, she attended the BRIT School and was given a recording contract by XL Recordings in 2006. Her breakthrough single Hometown Glory was released the following year and in 2008 she was the first recipient of the Critics’ Choice Brit Award. Her first American hit came in October 2008, when she appeared on Saturday Night Live: her first album 19 topped the iTunes charts the next day and she won two Grammy Awards the following year. Her second album 21 was released in the beginning of 2011. Inspired by a break-up, the heartache of songs like Someone Like You and the catchy beats of Rolling In The Deep resonated with audiences across the world and made the album a colossal success, becoming the top selling album of the twenty-first century. She won in all six categories in which she was nominated at the Grammy Awards in 2012. After a hiatus, Adele released her third studio album 25 in November 2015. Inspired by her new relationship and the birth of her son, she said that the album was about ‘getting to know who I’ve become’. Singles like Hello, Water Under The Bridge and When We Were Young have all been huge successes and the album debuted at number one worldwide, selling millions of copies. Since then, Adele has headlined at Glastonbury, performed a worldwide tour, and won numerous more awards. Finally, Adele is also known for her philanthropy. She has performed at a huge number of charity concerts including Pride London, and she has spoken out consistently about her support for the LGBTQ community. She has contributed to MusiCares, and requires all backstage visitors to contribute to SANDS, which is a UK charity dedicated to supporting anyone affected by the death of a baby.